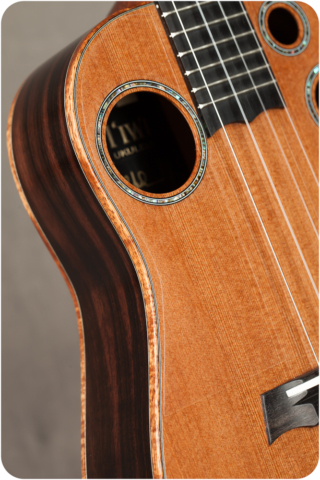 We first introduced Charlie a few years back at the review here- Charlie Fukuba’s I’iwi Ukuleles. He has continued to be consistently excellent in his builds and we’ve gotten to show dozens of amazing I’iwi ukuleles now. Charlie builds right here on our island all by himself and his ukes sound awesome. Charlie offers concerts and tenors and builds with a unique style. This is an overview with various woods. Enjoy! Find I’iwi ukuleles (when they are available) at our website HERE. This beautiful concert has a koa body except the three piece back with bubinga running through the middle. Such a warm, clear sound that plays true all the way up the neck and a radius fretboard is a comfort feature you rarely see on a concert. 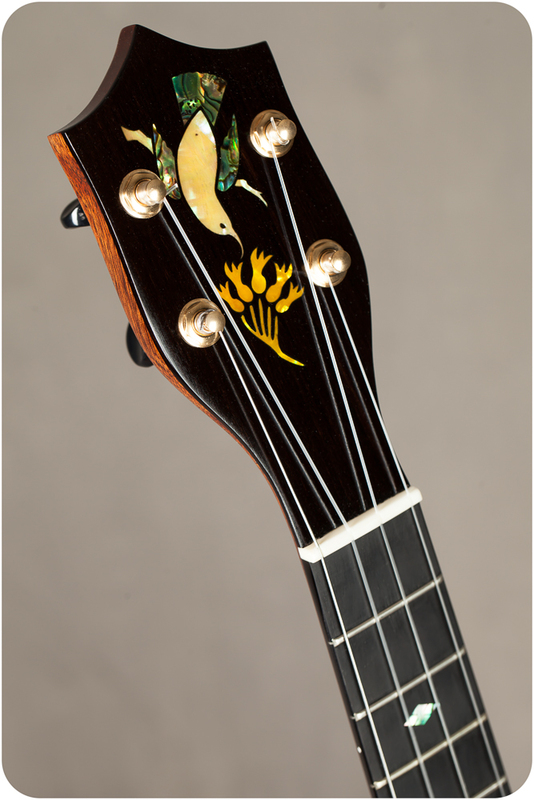 This one also has an abalone “poi pounder” rosette, diamond abalone fretboard markers, and I’iwi bird headstock logo and Gotoh UPT geared tuners. 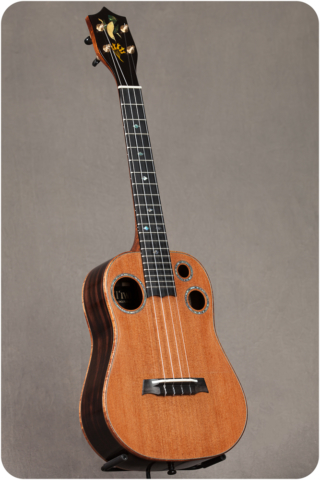 This is a real stunner with master grade Hawaiian-grown Cuban mahogany, a rosette inlay of a maile lei in abalone, and a gorgeous three piece back with a flame maple center strip. It plays smooth and is one of the sweetest sounding concerts we’ve had come through. Radius fretboard, graphite rod in the neck, hand-rubbed gloss finish, a wonderful custom Hawaiian concert. 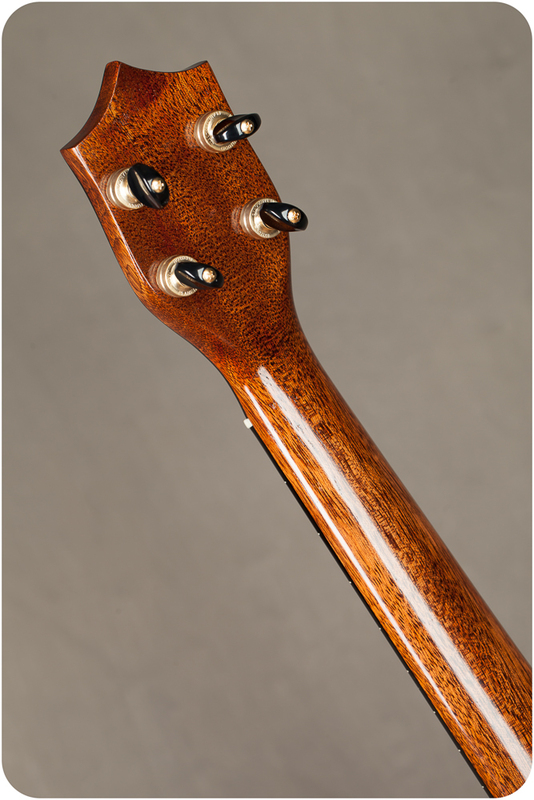 This Hawaiian grown Cuban mahogany has a closer density to koa and gives a similar bright tone but also has that distinctly mahogany bass tone. Charlie is a Hoku award-winning musician and he builds with an emphasis on sound. That is never more clear than with an I’iwi tenor. These mini dreadnaughts offer a big punch and a sweet sustain. They regularly impress us as well as our customers for their comfort and tone. Part of the I’iwi tenor sound can be seen in his three sound ports on the sound board. That along with his bell like shape give a bigger space dedicated to tone and projection. This spruce was heat-treated in an oxygen-free kiln, making it highly resonant and extremely stable. This is new Torrefied spruce and it looks and sounds like wood that’s been broken in for many years. I’m not sure how much difference it technically makes, but every custom we’ve gotten with this wood sounded extra warm, with that “broken in” sound. This tenor has that as well as a fantastic response and projection. 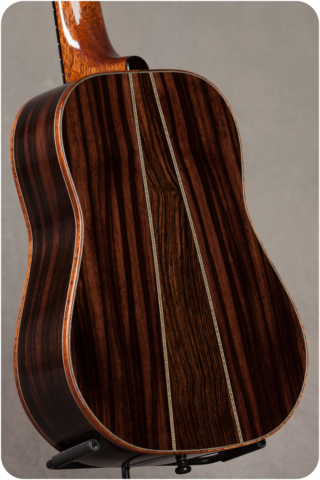 This is another Torrefied spruce top but with a gorgeous walnut sides and back. It has a wonderful depth, sustain, and a full spectrum of tones and overtones with clarity and power. Here’s another sound sample where Corey uses a pick. This is ukulele is sonically impressive to say the least: brilliant clarity along with spacious, sustaining overtones and incredible projection. On top of the extremely tight-grained, aged redwood top, and gorgeous walnut sides and back framed with curly maple binding. The result is a classy beautiful tenor with wonderful tone. Other things to note is comfortable feel with a radius fretboard and spot on neck angle and setup. Plus you get the long-term stability of a graphite rod in the neck. It also has a hand rubbed gloss finish and Gotoh UPT tuners. Along with the aged redwood top, this tenor features Macassar ebony, a very expensive and highly regarded tonewood. 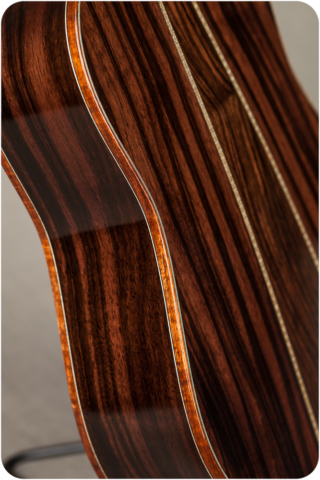 It’s really a beautiful peice of striped ebony and is perfectly framed with ebony binding. The result is a classy beautiful tenor with wonderful tone. 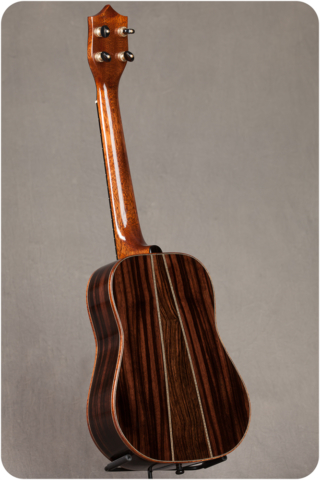 Here’s a listen to the last Redwood top Macassar ebony tenor we got along with pictures of it below. Charlie is truly one of our favorite builders and we hope you’ve enjoyed browsing and listening to these gems. We usually get a batch of 4 instruments from him every few months so keep in touch by checking the website or hit us up and we can always notify you when they arrive. Mahalo! 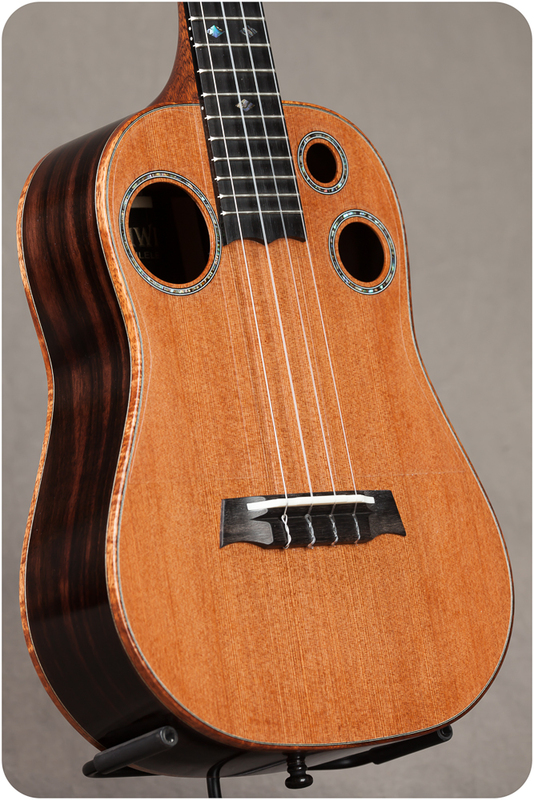 I am the proud owner of an I’iwi torrefied spruce top/ mahoghany. It is a wonderful sounding instrument, and even though it was sounding great when I first received it, after playing it about 6 months it really opened up, sounding fuller with greater amplitude and sustain. The radiused fretboard makes it a joy to play. After letting one of my buddies play it, he went out and bought one for himself. Having e-mail exchanges with Charlie Fukuba, the builder, prior to as well as after purchasing, he is a real pleasure to deal with. Highly recommended! I have an I’iwi concert, purchased through Hawaii Music Supply. Charlie says he builds for tone and playability, and keeps his promise. The instrument looks and sounds absolutely beautiful.